We started YAMA Foundation because we believe that all people, regardless of their ability or background should have access yoga, arts and meditation. They are powerful practices that help anyone who practice it feel good in body and mind, as well as through life. 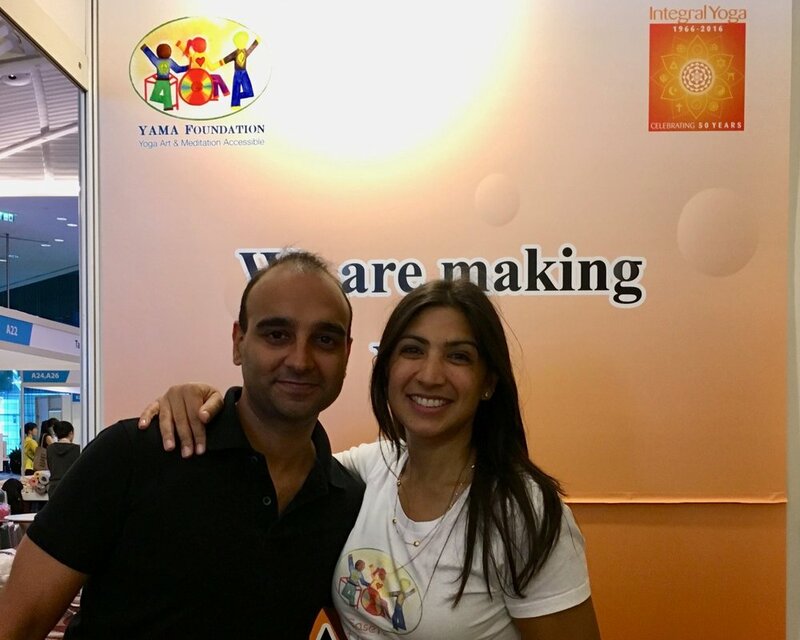 The idea for YAMA Foundation came from two key events in our lives: the first was when Hersha was a new yoga instructor and a woman with a wooden leg walked into her class. The second was when our niece, Talia, was born with a rare genetic disease that has no cure. Yoga, art and meditation have been a significant part of their lives, enabling them to thrive. Our mission is to make yoga, arts and meditation accessible to Hong Kong's underserved communities, including those with special needs, chronic illness, disabilities, and people who have vulnerability or disadvantage of any kind. Our journey started when we returned to Hong Kong in 2009. Hersha started teaching yoga to children and adults with special needs and disabilities for free. The hardest part was showing these communities that yoga, art and meditation was accessible to them, because they couldn't believe that they could participate. Once they started to receive the benefits of these ancient practices, we started to see people happier and healthier. Since we started YAMA Foundation, we have brought together a community of like-minded teachers who have dedicated themselves to showing up for people who need it. We ensure our teachers are trauma-informed, qualified to work with those who have special needs and of course fully committed to their students. To portray yoga as an accessible practice that is suited to any age or ability, background or body type. To share these ancient teachings with communities that for whatever reason cannot come to a regular class. To help people develop an easeful body, a peaceful mind and a colourful life. We invite you to read about our outreach programs and encourage you to support our mission in whatever way you can. Thanks for visiting and may you too, have an easeful body, peaceful mind and colourful life! One of our amazing students doesn't let his rare genetic disease stop him from enjoying a good bow pose.